CRETEPOLISH MAX is an acrylic polish type concrete sealer for improving stain resistance and producing an immediate sheen on concrete surfaces treated with silicate concrete hardeners. This product is recommend as a quality controlled "supplied and applied" application. Our Customer services team is here to help confirm the m2 costings for your project. Meets static co-efficient of friction requirements of ASTM D-2047 for concrete floor slabs in wholesale and retail warehouses, distributing centres, convention and stadium concourse, supermarkets. 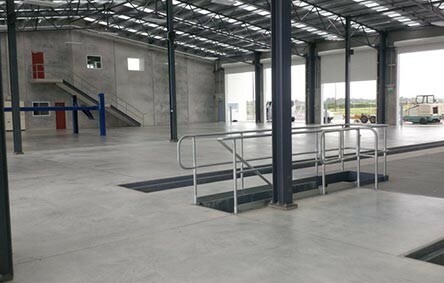 Excellent surface sealing for concrete floor slabs in wholesale and retail warehouses, distributing centres, convention and stadium concourse, supermarkets, and workshops. Markham Global has offices and representation in UK, New Zealand and Australia. Since 1996, our team has been dedicated to providing high quality products & innovations for concrete & construction industry. 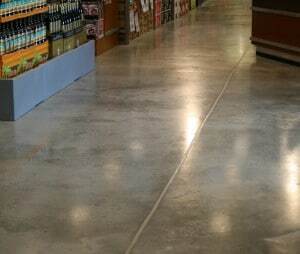 Our range includes concrete sealer options, concrete curing products, concrete waterproofing treatments, moisture barriers, sealers for polished concrete, sealers for pavers, water repellents for concrete, waterstops, waterproofing concrete additives, expansion joints, control joints, concrete crack repair products. Our team looks forward to helping you with any questions relating to how our products can help you achieve the best solution for your United Kingdom projects.